What is the role of crafted objects in the exchange of scientific knowledge? How might we describe the authority of scientific displays without obscuring their culturally-specific artistic origins? How can natural history museums make the histories of objects in their collection visible to viewers? Can digital infrastructures offer new solutions? Colleen O'Reilly (PhD student, Department of the History of Art and Architecture) and Aisling Quigley (PhD student, School of Information Sciences), will track the process of creating an online exhibition on this webpage. The project explores the preceding questions in relation to the Carnegie Museum of Natural History’s Botany Hall, bringing it into contact with objects from other institutions, and positioning it as a focal point for interdisciplinary expert knowledge. 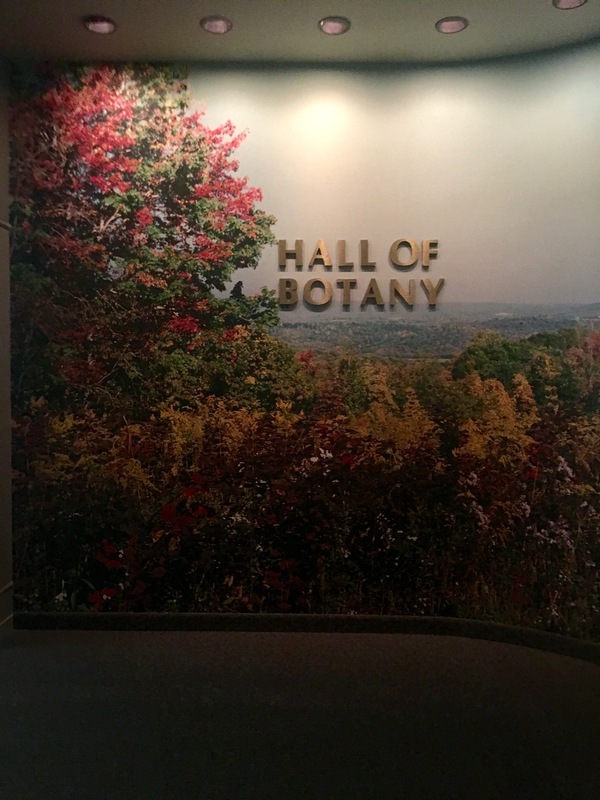 On Thursday, March 29th, Colleen O'Reilly and I launched our collaborative project Botany Hall: Dioramas on Context in the Hall of Botany at the Carnegie Museum of Natural History. The event marked the launch of our online exhibition at www.botanyhall.com and provided an ideal opportunity for facilitating a cross-institutional, interdisciplinary discussion about art and science. This latter component was always an essential part of our project vision. Indeed, in our initial mock grant proposal (drafted in Spring 2016), we posited that our project would contribute to academic discussion on the politics of display, representation as a pathway to knowledge, and the lives and agencies of objects. We were delighted to assemble a panel of individuals who contributed to our research process between 2016 and 2018. Lugene Bruno, Curator of Art & Senior Research Scholar at the Hunt Institute for Botanical Documentation, provided expert knowledge on the history of botanical illustration and helpfully contrasted 2D and 3D representations of scientific phenomena. Bonnie Isaac, meanwhile, is an in-house expert on the space we have been studying for two years. As Collection Manager of Botany at CMNH, Isaac manages the herbarium and has witnessed the evolution of the museum since 1989. Erin Peters, joint lecturer of curatorial studies in the Department of History of Art and Architecture and Assistant Curator of Science and Research at the CMNH, straddles the line between art history and historical, scientific display, so has provided invaluable advice on this project since its inception. These individuals helped to generate a lively discussion about dioramas, display techniques, and collaborative work. We were also pleasantly suprised by the number of attendees. Participants arrived from a range of institutions and disciplines: ranging from faculty and students from the School of Education and the Department of Art and Architecture at Pitt as well as staff from the Carnegie Museum of Art, Carnegie Museum of Natural History, the Andy Warhol Museum, Hunt Institute, City of Asylum, and the Botanical Society of Western Pennsylvania. Having launched the website and hosted an opening event, we are taking some time away from Botany Hall. We may do more with this project, but are allowing ourselves some time to write our own dissertations and reflect on the work we've done thus far. Feel free to send us feedback after perusing the website! This past year has been filled with many productive developments and collaborations in relation to Botany Hall: Dioramas in Context. Aisling and I were very honored to receive support from the School of Computing and Information, the Department of History of Art and Architecture, and the Cultural Studies program at the University of Pittsburgh, and from the Carnegie Museum of Natural History, which allowed us to apply for an Interdisciplinary Humanities Grant from Pitt’s Humanities Center. These funds enabled us to present our project at two conferences in the fall of 2017. The first was the International Council of Museums Natural History conference, which took place at the Carnegie Museum of Natural History in October, and was focused on the theme of the Anthropocene. We presented some of our research on Botany Hall to an audience made up of museum professionals and natural history curators, many of whom are working with dioramas and displays, both new and old, at their institutions. We were able to share our viewpoints as researchers, working from outside the museum to produce work that helps to put natural history dioramas in historical context, and contribute to a broader discussion about the responsibility of the natural history museum in relation to our contemporary environment. In November 2017, we presented at the Museum Computing Network annual conference in downtown Pittsburgh. This was a completely different setting in which we had the chance to talk about diorama history to an audience of museum professionals who are specifically focused on how to use technology in their institutions. It was enriching to share our work on the potential of a digital exhibition for contextualizing natural history museum content, and to bring questions about the role of visual technologies in museums to bear on the dioramas themselves, thinking through their status as objects that mediate knowledge. You can hear our talk here. With the support of the grant, we are now completing the first iteration of our online exhibition, and will be launching it with special panel discussion event at the Carnegie Museum of Natural History in front of the dioramas themselves. This will take place on Thursday, March 29th from 4:30-6:00pm (write to me at cwo8@pitt.edu for more info and to register). We will be talking about the role that the dioramas play in the museum and the community, incorporating the perspectives of Pittsburgh experts in botany, botanical art, and environmental justice. We are looking forward to hearing reactions to our digital exhibition, and we anticipate that we will continue to develop it as Aisling and I move towards the ends of our PhDs and our next projects. Late October, Alex Taylor and Collecting Knowledge Pittsburgh gave me the opportunity to attend a conference concerning exhibition in the Anthropocene at the Carnegie Museum of Natural History. This opportunity enabled me to sit in on talks and discussions on exhibiting climate change, postnatural histories, and geologic time scales in contemporary ways. The University of Pittsburgh’s Colleen O'Reilly and Aisling Quigley's historical and digital work on Botany Hall in the museum and Richard Pell's keynote, The Missing Museum: Excavating Wonder and Curiosity, are exemplars in illuminating hidden histories through digital supplements and attention to provenance. O'Reilly and Quigley presented their work on historically and digitally preserving and interpreting the pedagogical and artistic integrity of the museum’s Botany Hall. They illustrated the history of the dioramas as well as their provenance. Making a point to complicate that history, they discussed how the dioramas in their current state still argue for the dominion of man over nature. Reframing this modernist fallacy under the current conditions of the Anthropocene, O'Reilly and Quigley argue for the forefronting of prerequisite historical interpretation. They interrogated the assertion in the previous panel, that "dioramas are useful teaching tools," and maintained that objects in themselves, even with the aid of wall and brochure information, do not provide their own interpretation. Rather, as demonstrated in the preceding panel concerning the visually stimulating and interactive exhibits a the Natural History Museum of Utah, supporters of geologic, botanical, or biological knowledge must supplement the material in a historically oriented way. Within these questions of visual and historical representation, they offer a compromise: Botany Hall: Dioramas in Context is a work in progress that offers entrances to disciplinary knowledge in a pedagogical capacity. This compromise was echoed by audience members afterward, proposing the possibilities of social media, audio-visual, and Virtual Reality supplements to exhibition design. You can read more about their Botany Hall project here. Rich Pell's keynote began with complicating the seemingly evergreen dichotomy between natural and culture. He positioned his Center for Postnatural History as an intervention in this divide, a descendant of the first museum in the United States, Peale’s Museum in Baltimore, Maryland. Peale's museum was dedicated to science, art, nature, and technology, a mission expressing the unity of cultural industries in the early history of the United States. “Sincere science,” as it were, put on display: conundrums, wonderful and curious things in the arts and natural world, wild and domesticated animals, and the awesome like. The postnatural, as an approach to the natural and unnatural world, posits that biological life has been intentionally and heritably altered by humans. The postnatural stems from this exhibition lineage and provides the foundation for the Center. His exhibit at the Carnegie Museum of Natural History debuted at the conference: We are Nature: Living in the Anthropocene, is a manifestation of innovative exhibition design and historical positioning. With the postnatural as the un/natural force behind his thinking, he argued that the Anthropocene is always in the background of our collections, that "we have always been collecting the Anthropocene.” He provided his artifact of the Common Grackle that was stoned to death by schoolchildren from a Pennsylvania school district. He forefronted this provenance of this artifact, a specimen intentionally altered by schoolchildren. Naming it an "ambassador of that moment," he pairs it with another artifact, a bald eagle shot to death during the Battle of Gettysburg. The bald eagle was witness to the Civil War, war being a notable arbiter of the Anthropocene. These artifacts are interlocutors between moments long passed and today. In his work at the Smithsonian, he uncovered and reconstructed a history of genetically modified organisms while documenting the people that brought specimens, recently killed by newly cleaned windows or quick-at-hand brooms, to the attention of the on-site collector. Security guards and secretaries then became arbiters of the museum’s displays of knowledge; they became wrapped up in the species’ and institutional history. It is in this ways that Pell validated provenance and attribution as critical historical markers in exhibit display in the Anthropocene. Pell defended his study and exhibition practice (though I do not think he had to!) when he said, “you might think what you’re looking at is boring,” that if you look closely enough something awe-inspiring happens. He invited us into the inspiring, frustrating, and wonderful dignity of “boring” research. Though he admitted that the spectacle will often supersede sincerity, an indebtedness to sincere inquiry will preserve the integrity of knowledge and the integrity of sincere exhibition practices. Same with O’Reilly and Quigley: updating our exhibition methods continuously within the shifting conditions of the Anthropocene will maintain the integrity of these spaces as mediators of systems of knowledge, especially today when those systems are under increased scrutiny, questioning, and in some cases, attack. These stories take intention and effort to unfold, as Pell states in Land, Animal, and Nonanimal (K Verlag 2015). I would like to add to the discussion that though a historically critical eye will help viewing these deceivingly complicated objects, I argue that intentional, tender attention to these objects—and an understanding that artifacts are not as simple as they appear—will engender a empathetic yet critically thinking audience, newly motivated to preserve the life and lives on this planet. Thanks to Colleen O'Reilly, Aisling Quigley, Deborah Danuser, and Rich Pell for the winding conversations supporting many of these observations. What is the real, "real" object? As an information scientist striving to define and describe online exhibitions, I am constantly reflecting on what constitutes a “real object” versus one that is acknowledged only through its absence. The status of the object has historically correlated to changes in museology, and in this regard it seems we are in the midst of a particularly challenging moment. With the proliferation of museum apps, for example, museum visitors are simultaneously engaging with site-specific media while also being pulled away from their actual physical or “real” surroundings. In her writing, Andrea Witcomb suggests that objects in the material world carry “weight...authority, knowledge and privilege” whereas “multimedia,” or virtual objects, are characterized by their superficiality or otherness: their immediacy, temporariness, and popularity. (1) Traveling through and among the various institutions and collections that were included on the Consuming Nature workshop itinerary, I was constantly thinking about perceived distinctions between real and digital objects. 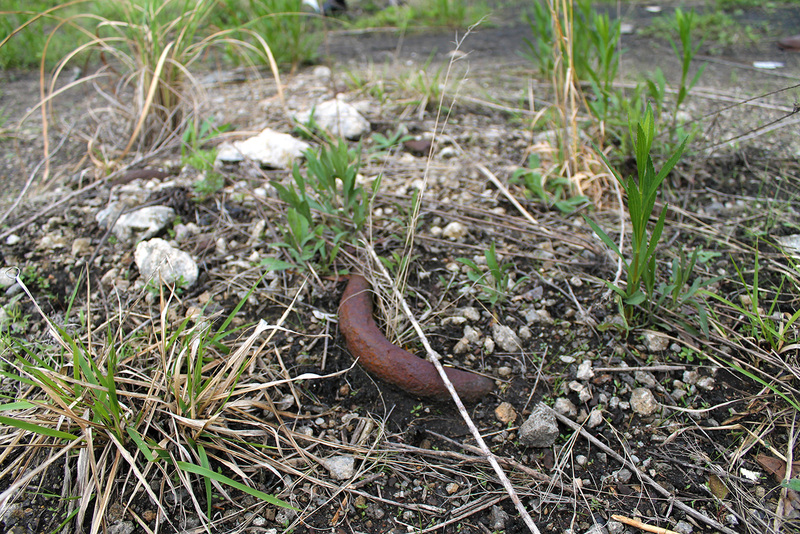 Particularly as we hopped from the Hunt Library, with its exquisite engravings and ink drawings of botanical specimens, to the overgrown vacant lot of Carrie Furnaces, I thought about what distinguishes the real and the real object. This is a confusing and unhelpful qualification, but I have been trying to grapple with the levels of human intervention that are represented by or within any particular object, and how these levels contribute to notions of authoritativeness and authenticity. Of course, these ruminations largely revolved around the figure of the “curator,” the individual traditionally endowed with the power to transform an ordinary object into an extraordinary one. 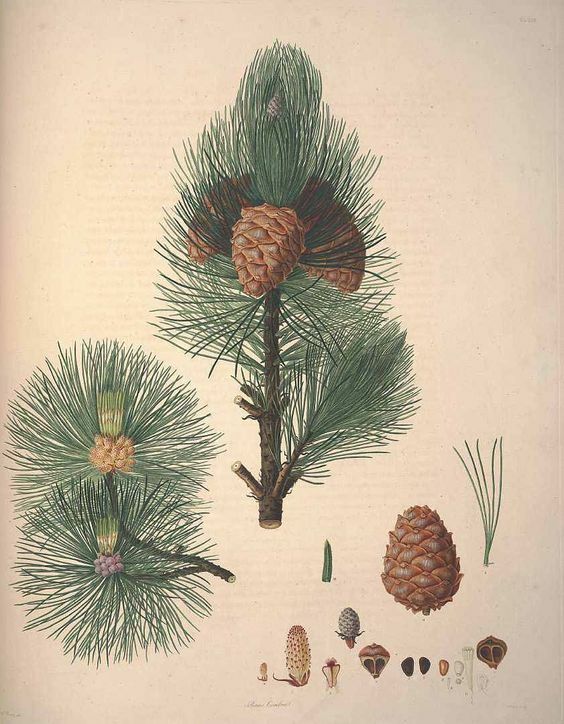 At the core of curation likes the act of selection or “the crucial idea” that “turns a part of the natural world into an object and a museum piece.” (2) As an “object,” where does Ferdinand Bauer’s engraving of Pinus cembra (1803-1824) stand in relation to the wild grass growing in the garden next to an abandoned Pennsylvania steel mill Throughout the workshop, I found myself pondering the distinction between reality and fiction, or between data and capta. With regard to this latter element, I was thinking about data in the eighteenth century sense, as something that is given or assumed rather than something that is captured, or taken. At its conclusion, I think my brain had accepted that everything we saw during the workshop was the result of human intervention: from the alcohol-soaked beetles in the CMNH’s section of entomology to the errant trees growing atop a former furnace. Should I be anxious about the way that museums incorporate real and fake representations of things? Probably not. Is it important to signpost these things, such as what parts of the dinosaur’s skeleton are actual fossils versus man-made plaster reproductions? For me, yes. Brenda Laurel, author of the book Computers as Theatre (1991), describes the artificiality of the computer interface as follows: “...in the world of interfaces, the graphic designer renders the objects (like zoom-boxes and pop-up menus)” and represents “both concrete and ephemeral aspects of context through the use of such elements as line, shadow, color, intensity, texture, and style.” (p. 10) In depicting nature, broadly, so many representations (2D and 3D, alike) provide a similarly mediated version of “reality.” As Colleen O’Reilly and I endeavor to describe and even re-contextualize the dioramas in CMNH’s Hall of Botany through our online exhibition project, these are some of the questions I continue to ask. (1) Andrea Witcomb, “A New Approach to Thinking about the Impact of Multimedia in Museums,” in Theorizing Digital Cultural Heritage: A Critical Discourse, edited by Fiona Cameron and Sarah Kenderdine (Cambridge, Massachusetts: MIT Press, 2007), 35. (2) Susan Pearce, “Museum Objects,” in Interpreting Objects and Collections, edited by Susan M. Pearce (New York: Routledge, 2003) 10. Maria Sibylla Merian, Der Raupen wunderbare Verwandelung und sonderbare Blumennahrung, ... Nuremberg, Frankfurt am Main: Johann Andreas Graffen, 1679-1683, on display during the Consuming Nature workshop at the Hunt Institute for Botanical Documentation. 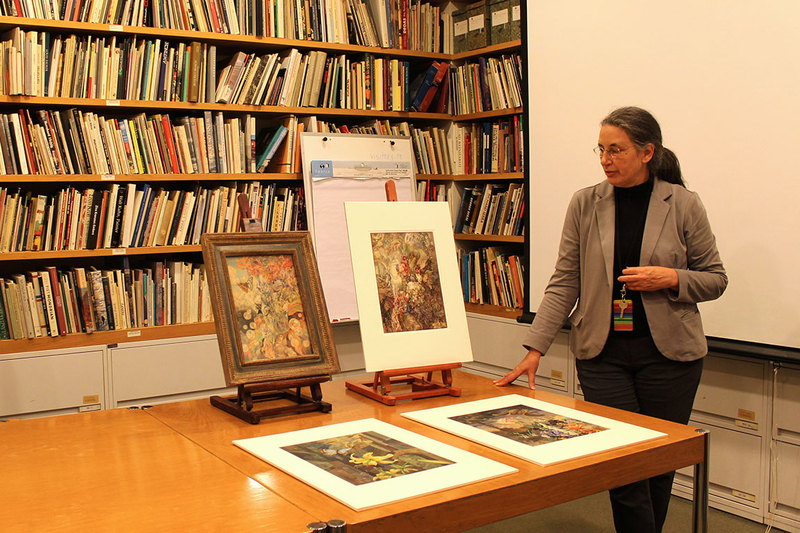 CMOA Curator Lulu Lippincott showing some Avinoff paintings during the Consuming Nature workshop. Photo by Ana Rodríguez Castillo. In the context of the Consuming Nature workshop, sparked especially by our plans to visit the Hunt Botanical Institute, I was thinking a lot about how to situate CMNH’s Botany Hall and its dioramas in the social and cultural context of Oakland. I had learned from research conducted by Kate Madison and Emily Enterline, collaborators on our project, of the involvement of Rachel Hunt with Andrey Avinoff in the creation of the botanical dioramas. 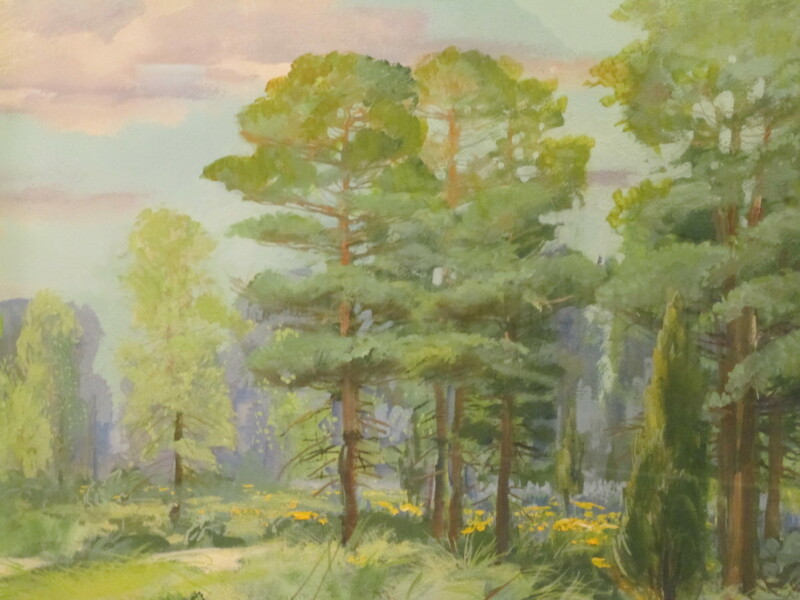 Hunt (wife of Roy Hunt of Alcoa) was president of the Garden Club of Allegheny County, which contributed the funds for the first diorama of wildflowers of Pennsylvania, completed in 1928. 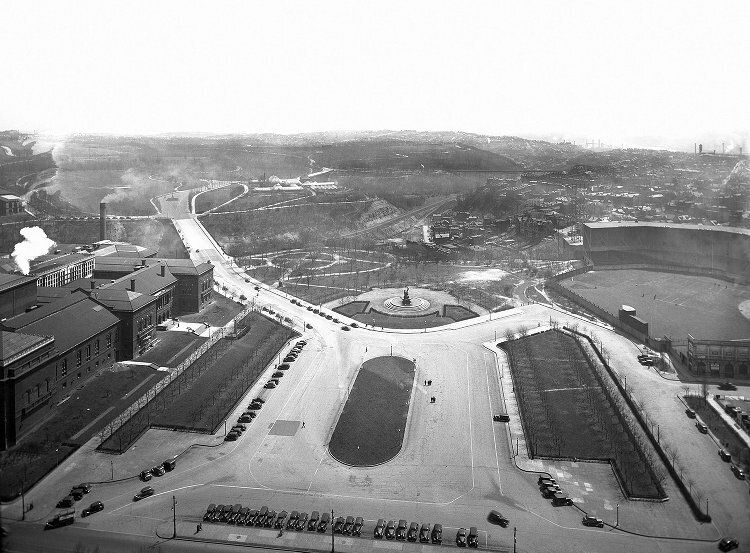 Press from the time noted that the Garden Club of Allegheny County had also contributed to the improvement of the entrance to Schenley Park, which was visible from the windows that used to be in Botany Hall. 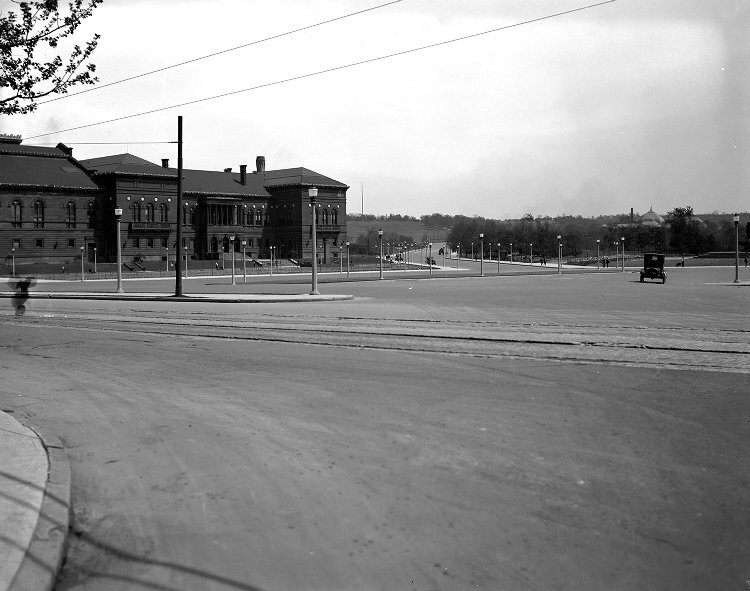 I also had learned from the research of Peter Clericuzio (Visiting Lecturer in Architectural Studies at Pitt) into the architecture of Forbes Field that early twentieth-century Oakland was positioned as a cultural center and soothing escape from the grime of the city. I therefore came into the workshop with the notion that the dioramas might belong in this context, in which picturesque views of nature, leisure, and cultural enrichment worked together. At the same time, I was aware that the philanthropic funding behind the institutional framework for this came from the very industry that was destroying the environment. At Hunt Botanical Institute, we were able to see Elizabeth Shoumatoff’s portrait of Rachel Hunt (with background painted by Avinoff), as well as examples of the kind of botanical illustrations that were Rachel Hunt’s passion: large, richly detailed portraits of individual plants that almost seem to pose for the viewer. Chuck Tancin also mentioned to us that at the insistence of Roy Hunt, the shelves in the library reading room are aluminum (but painted bronze so as to fit with the overall aesthetic), which is a poignant anecdote for thinking about the intersecting agencies at work behind Pittsburgh’s institutional investment in the culturally sophisticated appreciation of nature. At CMOA, Lulu Lippincott shared with us some of her expertise on Avinoff, and we viewed some of his artworks. As Lulu explained, these works can be understood as depictions of his philosophy about the links between art, science, the natural world, and spirituality. Even though Avinoff was known as an entomologist, it is clear to me now that Botany Hall was of special interest to him. In the context of Avinoff’s interests and Hunt’s patronage, the representational strategies of the botanical dioramas, which must be described as picturesque, theatrical, and somewhat political, as much as scientifically accurate, come into clearer focus. It is important to imagine the museum, and the philanthropic culture that shaped the space of Oakland, as both driven by a dream of a unified sphere of progress and idealism of all kinds, rather than the division between art and science that came to structure the institutions in the later twentieth century. This cultural space allowed the appreciation of nature to remain congruous with the glorification of industry. Aisling and I continue to chip away at our Botany Hall project, and it seems high-time for a status update. Back in January, we held a colloquium in the History of Art and Architecture department to share our progress and experience with three undergraduate museum studies students, Leslie Rose, Eliza Wick, and Bridget Lynch, who worked on our project in the context of their academic internships last fall. They all posted here about the research projects that they designed and executed, which will be included in our digital exhibition, alongside the work of MLIS students Kate Madison and Emily Enterline. In the colloquium, we traced the development of our research questions, and the network of experts and archives that now form the foundation of our work. We got valuable feedback from HAA faculty and students, as well as from CMNH staff who joined us for the discussion. Our presentation from that day is attached here. This semester, we have continued to distill the key insights that we want to get across in our exhibition, and what tools we want to use at this stage in the process. We are pondering a digital tool that we could potentially use to create a first iteration of our exhibition, such as Wordpress or Tumblr, something that could be flexible as we add, edit, and test with users. We hope that a first iteration will help us determine the best structure for this online experience, which is one of the key questions for us this project. At the moment, we are creating content in the form of Word documents of text and images, and hand drawn maps of how the content will interconnect online. Our ultimate goal is to work with a web designer to create a customized, interactive, online experience, which will require grant funding, so at the moment whatever tools we use need to be extremely accessible and adaptable, and not get in the way of us trying to plan our digital curatorial argument. As far as our future visions go, however, we are inspired by the structure of things like this Oxford Museum exhibition about brains. It is both informative and manageable, both guided and open, and it makes digital space feel welcoming and flexible as opposed to limited and tricky. We are also very lucky to be participating in this year’s Collecting Knowledge Pittsburgh workshop, Consuming Nature, which will mean visiting local collections and participating in discussions with a group of other Pitt scholars from a variety of fields who are interested in notions of landscape and relations between humans and nature. We are cooking up some other plans as well for applying to conferences and organizing workshops this coming summer and fall as ways to present the results of our research and continue investigating how Botany Hall works, and plan to have a first iteration of our exhibition available for online viewing in Fall 2017. As I applied to an academic internship over the previous summer, I was invited to collaborate in an ongoing research endeavor that was being led by two Ph.D. candidates in graduate school at the University of Pittsburgh, Colleen O’Reilly of the History of Art and Architecture department, and Aisling Quigley of the Information Sciences department. Their research was concerning Botany Hall of the Carnegie Museum of Natural History and was conceived out of the realization that there is very little knowledge about the conception of the hall and its content available to museum visitors. With the pursuit of finding more knowledge about this mysterious hall that is tucked away on the second floor of the museum, in the spring of 2016 Colleen and Aisling began conducting research through many veins like provenance, history, and individuals who helped make the physical hall, as well as individuals in charge of curating and making decisions about it on behalf of the museum. The purpose of the research was to eventually create an online exhibition of Botany Hall that would be available to the public for educational and informational purposes. Colleen informed me at our first meeting of their current research and end goals. I was very intrigued, but expected that I would do basic internship tasks to aid their process and help nurse along their end goal of an online exhibition. To my surprise, Colleen told me that they wanted myself and two other undergraduate students to conduct our own research of our choosing that relates to Botany Hall. We would eventually contribute our own final product, of which the platform would also be up to our discretion, to be a subset of their final online exhibition. After visiting the hall and considering what knowledge could be emphasized to museum visitors, I decided to do my research from an art historical and visual studies angle. I found the dioramas that made up the hall to be extremely interesting, yet contradictory. I was confused why there was an artistic painting in the background of each diorama. Why was art in a science museum? The time spent on my internship each week was rather autonomous and up to my discretion. The only requirements I received were that I must work on my internship for 10 hours per week, that I should keep a journal of my progress, and that I would also meet with Colleen weekly to discuss my progress and findings. The only person I reported to was Colleen and Aisling, as they dealt with the relationship with the university and museum. Other than that, my research and final product were up to me and therefore, my weekly schedule of what I needed to accomplish was the same, along with what type of final product I would want to contribute. Throughout the semester I would conduct research by finding primary sources related to the museum and the hall as well as secondary sources that related to the display style and related topics in visual studies. I would also visit exhibitions like the botanical show in the Hunt library at CMU, make appointments to see various Carnegie archives, and explore other areas of the Carnegie museums to research. Over the course of the semester, I felt a lot of feelings of being overwhelmed or alone on my research due to the nature of the internship. The autonomy can be very exciting as it is based on self-inquiry, yet it can also be extremely overwhelming when you have little direction on your process and end-product. Meeting weekly with Colleen was very helpful, but it would have been nice to be able to meet with the two other undergraduates working on their own research and projects on Botany Hall more often. Unfortunately scheduling became a major issue since we did not have specific time, we all met together during the week and our busy school and work schedules made it almost impossible to find time to collaborate and inform one and other along the way. Throughout the semester my topic also evolved many times as I found more information or realized I wanted to focus more on another element. My plan for an end-product changed many times from originally wanting to do a formal essay to the more visual and interactive media of a Prezi presentation. My final Prezi presentation discusses the oddity and general disinterest revolving the artistic qualities of the dioramas, specifically the idealistic background painting and why there is art in a science museum? I later go on to discuss problems of trustworthiness with subjective images such as art paintings that are used for the education of science. After arguing for why we can trust these images, I ultimately prove why those same artistic qualities are the what make the diorama so effective as an educational tool. Furthermore, I explain how art through different mediums and media can be advantageous for communicating educational material, specifically scientific information in this example. Overall, this internship was extremely helpful in strengthening my confidence in my research and preparation and time management abilities. It also gave me a taste of what it takes to do research at a higher level of education, which is something I found useful as I am interested in graduate school. Not only did I enjoy the material I researched, but it also inspired me to further this research. With an interest in focusing more on visual knowledge through the study of botanical illustrations, I applied to the London Field Studies Program in 2017, to which I found out I was accepted! If it were not for this internship, I would have never had the chance to do so much independent research on my own and strengthen the necessary skills, but I especially would not have been introduced to a topic that I find so fascinating. "First constructed in the late 1920’s with its last exhibit being installed in 1973, Botany Hall depicts the astonishing diversity of plant life. The hall emphasizes four different biomes found in the continental United States: a Florida everglade, a Mt. Rainier alpine meadow, an Arizona desert, and Pennsylvania landscapes that include Presque Isle during the summer, a Warren County bog in the fall, and the Allegheny Natural Forest in the spring. Additional exhibitions in Botany Hall feature plants that have been used for food, as medicine, or in industry. Among these are a diorama depicting a western Pennsylvania herb garden and exhibitions of plant fibers, edible fruits and nuts and poisonous plants. Each diorama contains hundreds of specific species based on fieldwork research. Dioramas differ from art and other historical objects in museums due to their blend of unique scientific and artistic input. The early dioramas of Botany hall are the production of a specific impression that the artists, Ottmar Von Feuhrer, and Hanna Von Feuhrer wanted to create. 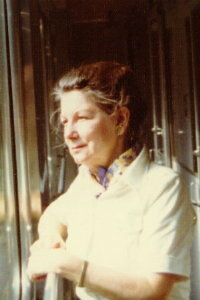 Ottmar was primarily responsible for the backgrounds and overall design while Hanna and a large group of primarily women, made the individual specimens. Their work was based on scientific field expeditions that gathered specimens. From these collections, reproductions were made of wax and paper. Everything from the time of day, season, to exact plants is specifically and deliberately chosen to recreate a snapshot of a location in time and nature that is normally in constant fluctuation. The dioramas come together to form one entity that surrounds viewers in carefully recreated nature. But now museums all over the world are facing a new challenge. These dioramas seem very far removed from modern methods of display that use digital technology. Museums are a timeless entity, protectors of the past and history for future generations, but now that technology has become such a staple in people’s lives, how do dioramas compete with it? 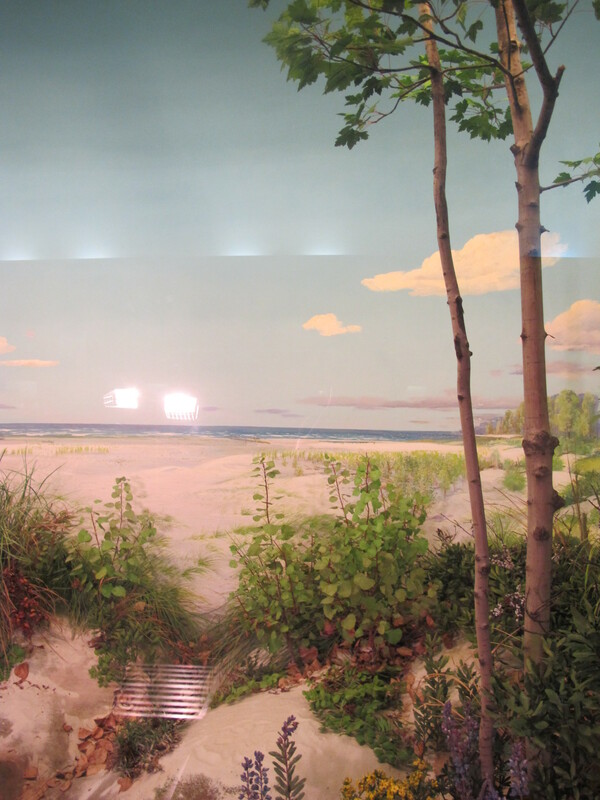 Prior to the 21st century, the dioramas were an engaging museum attraction. However in recent years the dioramas have received less attention and since the 70s no major changes have been made to the hall. Should Botany Hall’s representation of nature be adapted to fit the current context of the world? We turn to current Carnegie Museum employees to learn their thoughts"
Getting permission and the chance to film the museum and its employees was a great opportunity that allowed me to work on my filmmaking skills and I gained a valuable insight into the world of diorama making and their current context in the Carnegie Museum. It was at times difficult to figure out what to do about the technical logistic issues such as permission to film the museum and its employees but luckily I had a great internship mentor in Colleen and she was always so helpful when it came to dealing with issues that neither of us new about. From flipping through old archives in the museum annex to constantly rewriting a script to finally filming the museum, it was a wonderful opportunity that allowed me to learn by my own mistakes as well as giving me insight into the professional realm of the museum world and the documentary filmmaking world. Located on the second floor of CMNH, adjacent to the North American Wildlife Section, the Hall of Botany seems like a forgotten space by the museum. Initially, I was unsure if I would find a story that genuinely interested me. I had no idea of the wealth of research avenues that would peak my interests. The narrative that I found most engaging was women’s roles in the conception and creation of the dioramas featured in the Botany Hall. In the beginning, I believed that researching the work and lives of these women and writing their biographies would sufficiently tell this story. However, while I was exploring through the abundant archival documents and photographs, I began to realize that there was something larger going on. I quickly learned that by learning about these women’s lives, I was only scratching the surface. The questions that came to mind focused on the subject of botany as a discipline. Was the study of botany considered “women’s work”? If so, how did this happen? What happened to the study of botany in academic settings? Has it been labeled as another topic? Other questions related to the subject’s relationship with museums. Why was CMNH neglecting this section? Were other museums doing the same thing? Did this lack of interest relate to gender? I was really seeking to understand these relationships. 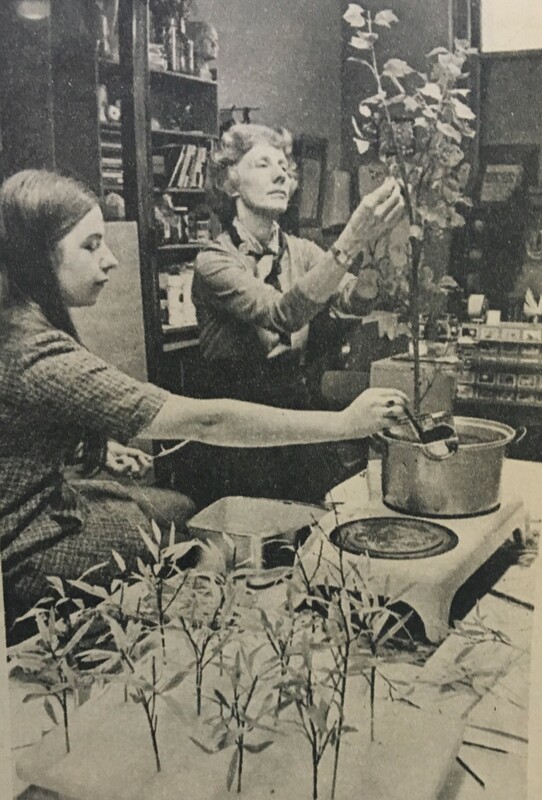 I think the biggest challenge I have faced so far in this research project is trying to create a coherent narrative that connects the women of CMNH’s Botany Hall to this broader investigation into Botany’s importance in natural history museums and as a discipline general. Through these weeks of research, I have formed many questions but at times forming the connections between these queries seem disjointed or forced. In the coming weeks, I believe that as I continue my research and gather more details I will be able to see the connections that exist.